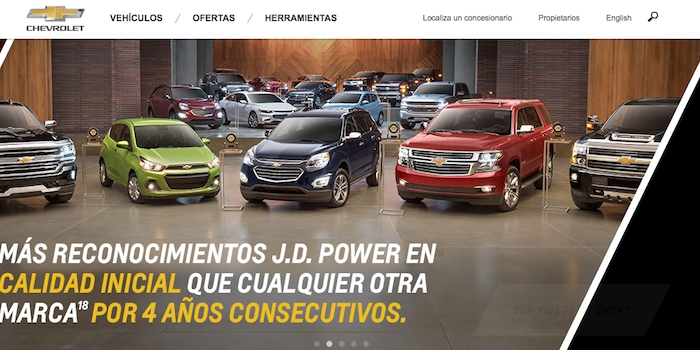 Historically, automotive websites have been strong on languages but weak on global consistency and global navigation. 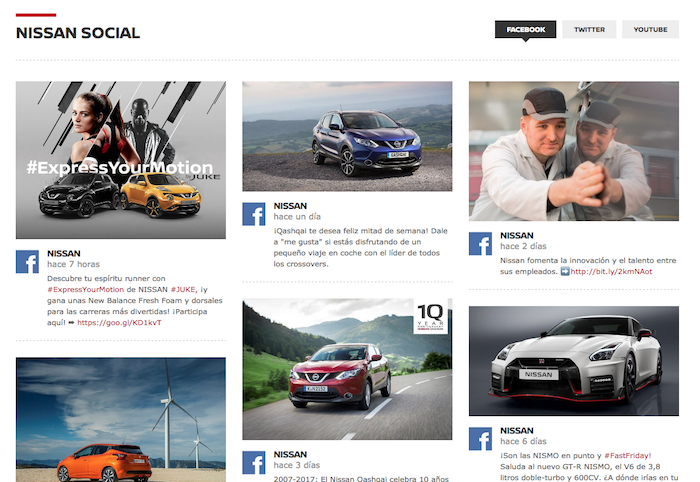 And while most automotive websites continue to struggle on these fronts, I was pleased to see Nissan’s new global website design, a big reason why Nissan emerged number one for the first time. You’ll find few automotive websites that support consistency to this degree between these two distinct markets. 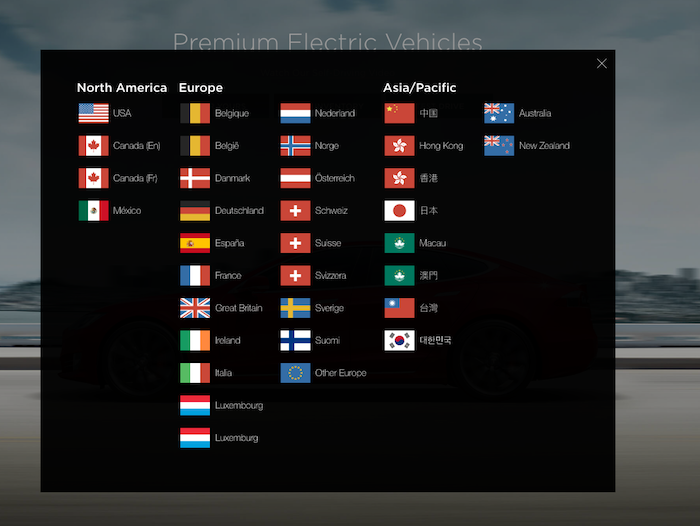 When it comes to global navigation, sadly, no automotive website stands apart. Nissan, like many companies, incorrectly relies on flags. But it does do a very good job of supporting country codes. Hyundai finished last in our ranking this year, with low scores across the board, with the exception of global reach (languages). Note that Hyundai supports an impressive 43 languages, which goes to show that languages alone do not make for a successful global website. 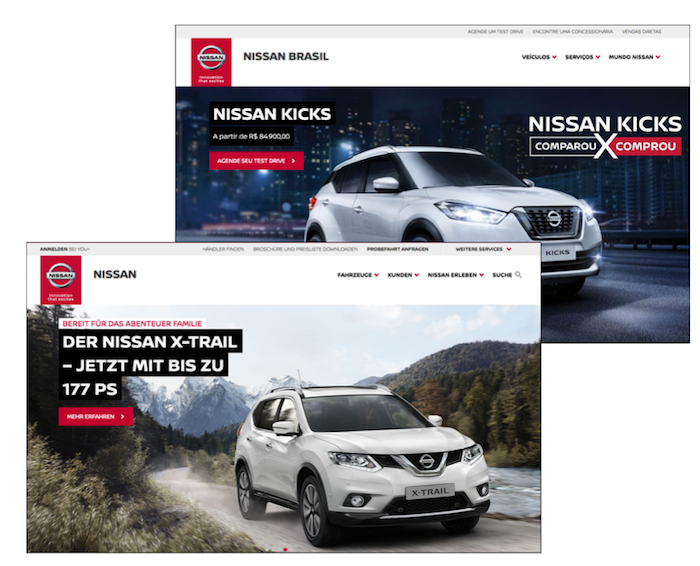 Automotive companies are highly decentralized organizations with independent web teams and budgets, which often results in websites that share few design elements across country/region websites. But Nissan has taken a promising step forward, one that I believe other automakers are sure to follow. For more information, check out the Web Globalization Report Card. It includes more than 25 pages of automotive website profiles.